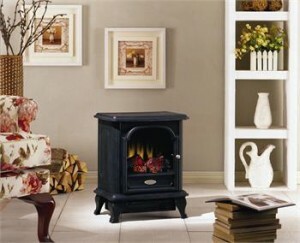 Freestanding electric stoves offer the instant ambiance of a traditional fireplace experience. Each of our freestanding electric fireplaces provide quiet, instant heat and eye-catching design. You will find electric stoves with both classic and traditional designs that will complement many décors. .
*Electricity rates vary from place to place. For comparison; gas fireplace manufacturers regularly advertise running costs of 17 ¢/hour.